As you know, I’m an avid vegetable gardener. I grow what I like, and anything my wife, the lovely Denise, tells me to. 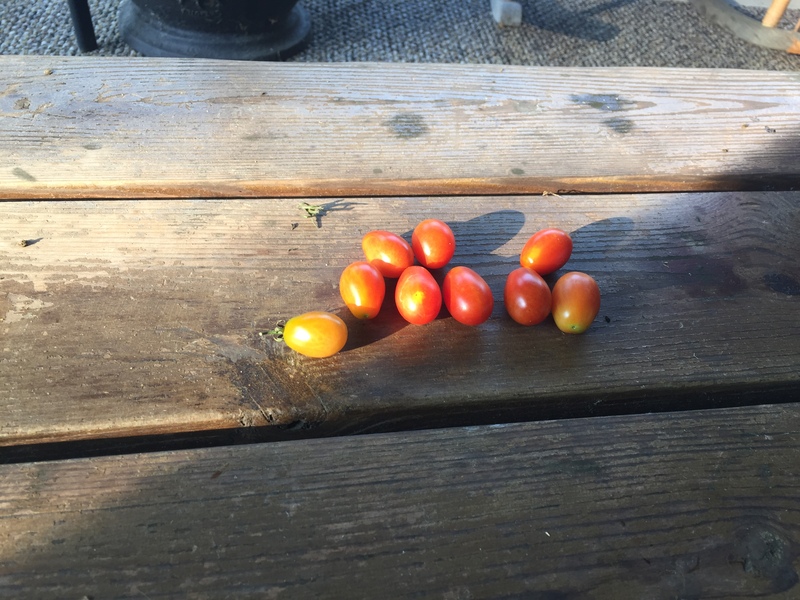 One of the things we argue about every year is tiny tomatoes. Call them “cherry” or “grape”, a single plant can make literally hundreds of the little buggers. What’s worse, they tend to seed themselves so that, want them or not, next year you’ll have more. I say we should plant none, and she says we should plant several. We compromise on several. While you wait patiently for the “real” tomatoes, along they come. First by ones and twos, and then by the dozens. The trouble is, they are only good in salads, and you only need a couple of them for that. 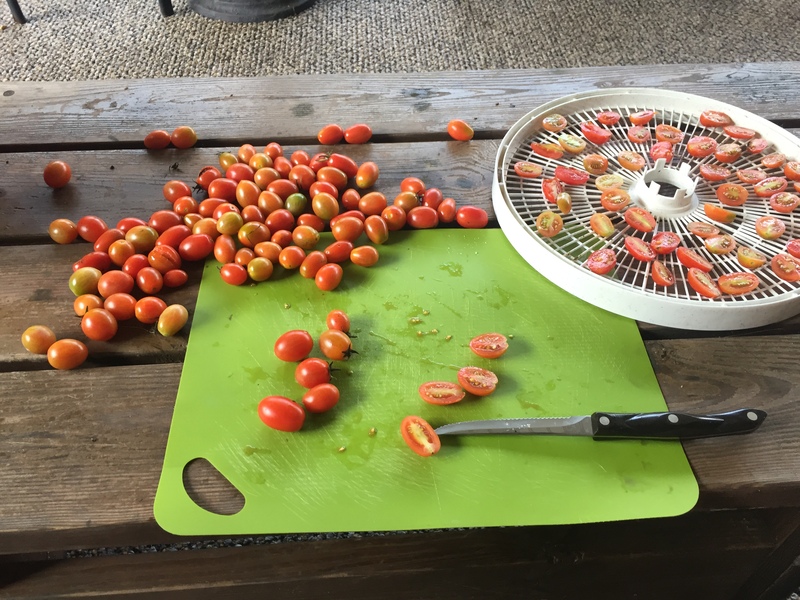 But you are just dying for the big tomatoes, and you will be tempted to cut them into tiny slices so that a salami and tomato sandwich will contain about 20 which will continually fall out as you try to eat it. Luckily, in a few weeks when the real ones do come along, you will no longer be tempted. 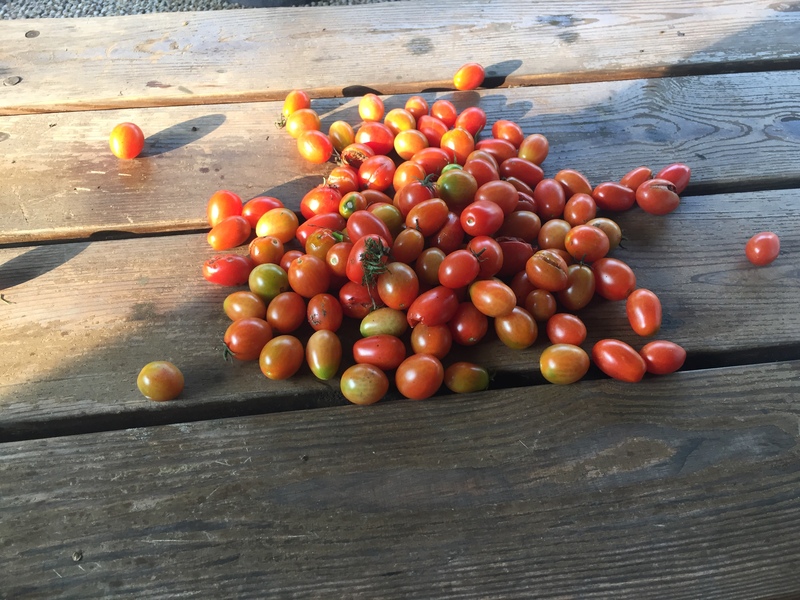 Meanwhile, what to do with the teaming multitudes of tiny little, pesky, and pretty much worthless tomatoes? Happily, I’m here to tell you, there is hope for the tomato-bound gardener. 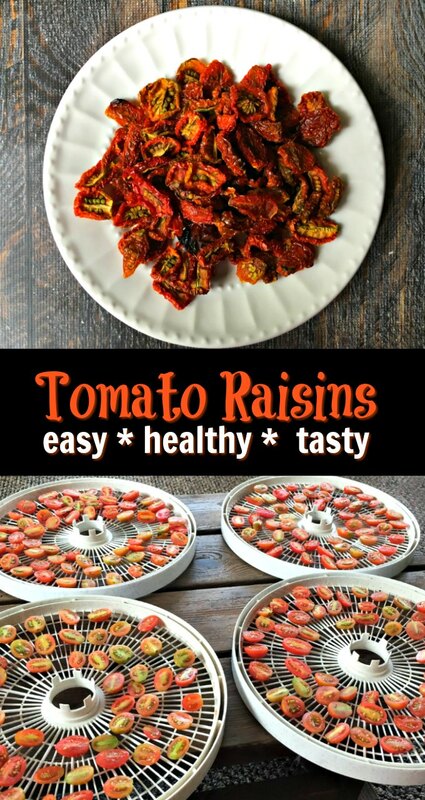 You can make tomato raisins! Sound horrible? Just wait until you try them! 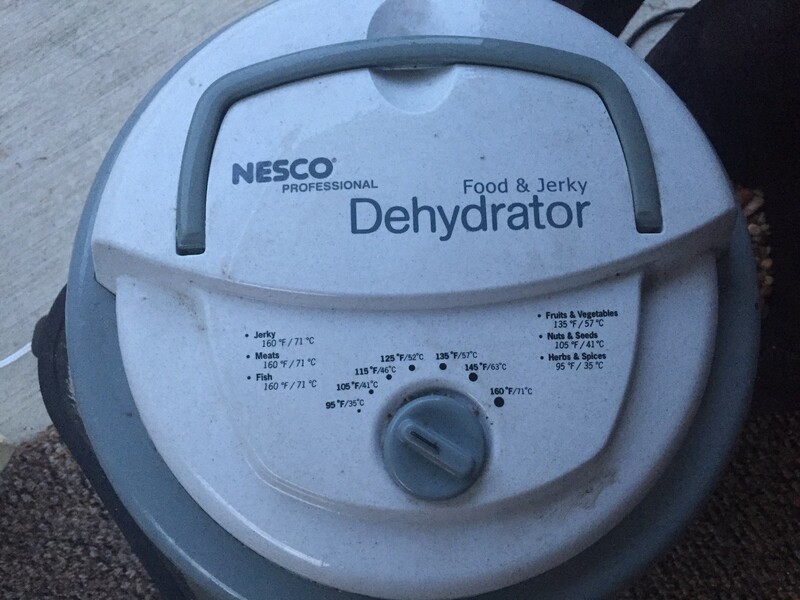 But first a plug for one of my favorite appliances, my Nesco Dehydrator. I use this baby for everything from a failed foray into making beef jerky to drying all my peppers. 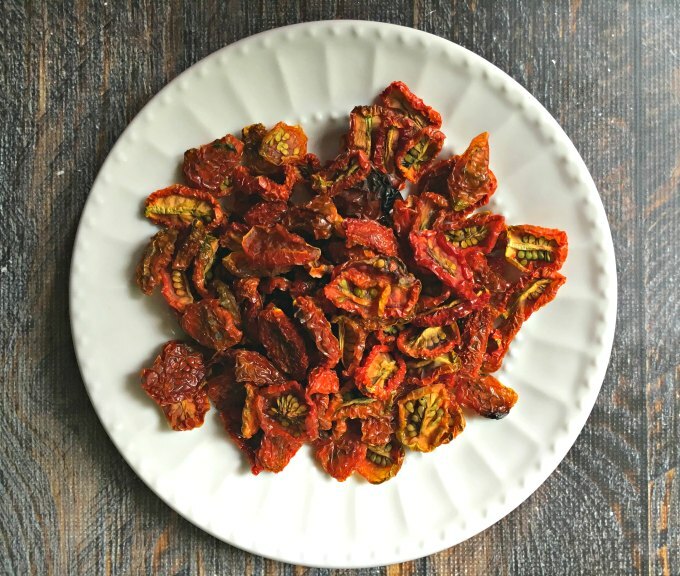 Once, when I saw what Denise spent on a package of sun-dried tomatoes, I got the idea, “Why not use the dehydrator and kill two birds with one stone?” Thus, I saved a couple of bucks not having to buy them at Trader Joe’s and got rid of those pesky tiny tomatoes. I actually leave it out on my porch during the summer so I can run it pretty much non-stop. 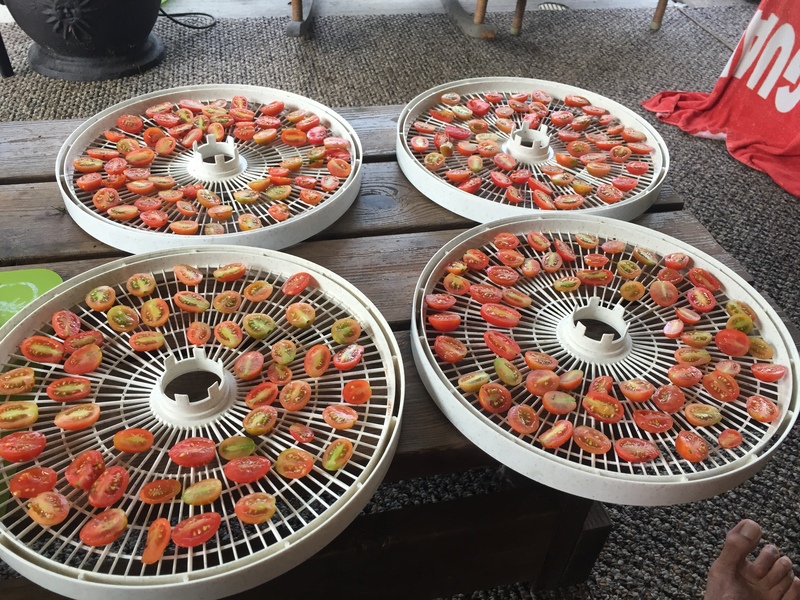 The dehydrator is a devilishly simple thing. It consists of a number of drying racks which can hold a lot of things if they are mostly flat. There is a fan in the lid, and a heater. Air is sucked in, and heated to the appropriate temperature (about 135 degF for vegetables). It has several racks, so you can dry a whole bunch of stuff at the same time. So how does one make tomato raisins? First, you cut the tomatoes in half. This will allow them to dry faster. Next you arrange them uniformly onto the racks. Then you stack the racks into the dehydrator, put the lid on, and plug ‘er in! Finally, you come home from work the next day, and what do you have? Tomato Raisins! So, you are asking yourself, “Nice, but who would eat these things?” Well I put them to the test against the pickiest eater I know, my grandson Elliott. Elliott is like Mikey in the old Life cereal commercials. “He won’t eat it, he hates everything.” Well, guess what. GONE. In minutes. The raisins are quite sweet and nice and chewy. Elliott and my granddaughter Scarlett (who is much less picky) were quickly asking MeeMaw where they could get more. As an added bonus, their mother (my daughter Laura) is very strict about what they can snack on (of course what happens at MeeMaw’s, stays at MeeMaw’s), but .she loves the fact that they will just eat these up. And yes, they are on the back porch having lunch and watching a show on the outside TV.